What questions do children ask about God? "So, Why God?" takes genuine questions children have asked about God and Christianity and helps them find the answers through the Bible, the testimony of their leaders and fun activities. The first six sessions look closely at who God is and takes children through the story of Jesus on earth. The second six sessions look at hard issues Christian face. 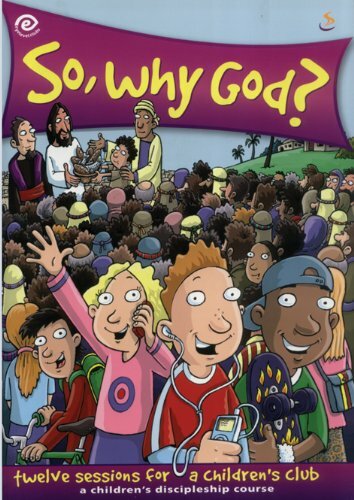 "So, Why God?" is ideal for use as a children's discipleship course. Steve Hutchinson is one of SUs most experienced evangelists. His experience of working with children and his passion to see them come to faith in Christ is clear throughout this course. Nuts and Bolts is another of Steve's titles for SU.